Digital Download - Winter Wall Hanging Pattern by Missouri Star - Missouri Star Quilt Co. - Missouri Star Quilt Co.
Deck the halls in style with this wall hanging quilt project! 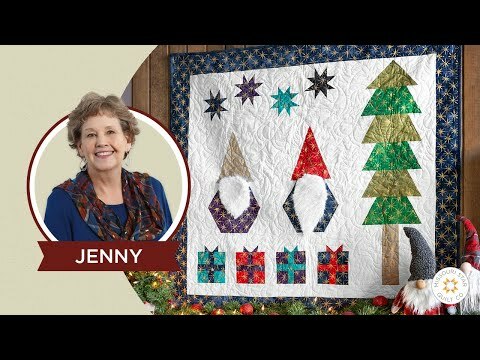 You're sure to get on the 'Nice' list with this quick and easy project featuring festive presents, stars, trees, and elves. Put it together with 1 pack of 10" squares, 1 1/2 yards background fabric, 1/4 yard of cuddle fabric, and 3/4 yard for the border, and you'll have something to hang by the chimney with care in time for the holidays. Finished size: 48" x 42"
Wall hanging pattern for 10" squares.